I came back to this shop again. Actually it’s not my second time. I went here quite a few times before I post this. But maybe because I tried their different menu this time besides ddukbokki and kimbab and took a picture of their menu, so I decided to do a post. Today I went Myeongdong to exchange money (so far I think Myeongdong has the best rate for USD, if you know somewhere else, please let me know :P). As expected, Sunday is always a busy day for everyone who go Myeongdong, busy shopping, busy selling, busy snacking, busy persuading people to go into their store… Since I was not going to spend my day at Myeongdong, I decided to have a quick and easy lunch at Kim-Ga-Ne 김家네 . This time I ordered Tuna Kimbab (참치김밥) for 3,500 won and tried their Bulgogi Bokkeum Udon or Stir-fried Beef Udon (불고기볶음우돈) for 6000 won. I have already posted about their kimbab김밥 before at my previous post Kim-Ga-Ne 김家네. 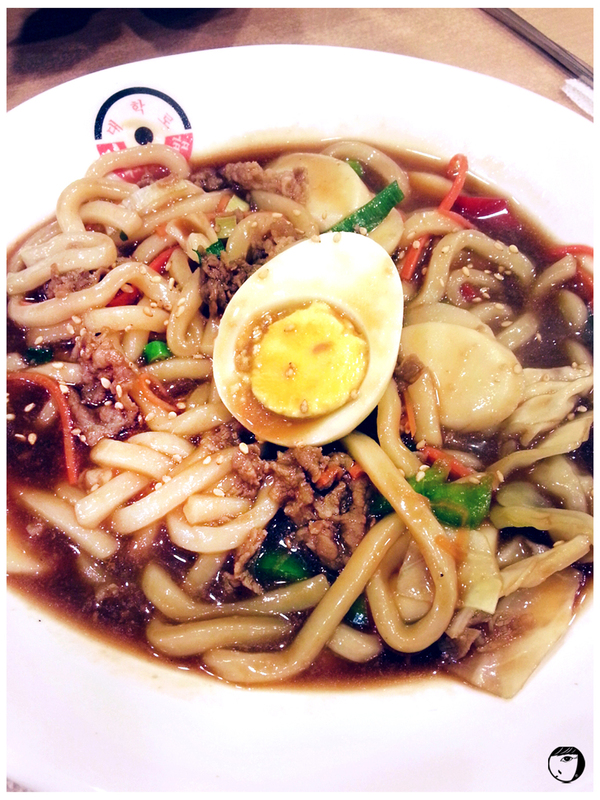 This is how Bulgogi Bokkeum Udon looks like. It looks a bit different from the picture which shows a stir-fried udon without gravy. I will say it taste alright, but not fantastic. The udon served with flat rice cakes or dduk 떡 too. This place is perfect for those who wants to have a quick korean meal. Since this outlet is at Myeongdong, so it is a friendly place for tourists, the staff can speak chinese and the menu comes in English and chinese too. Who doesn’t like Kimbab 김밥? These Korean rice rolls sushi is very easy to find in Korea. 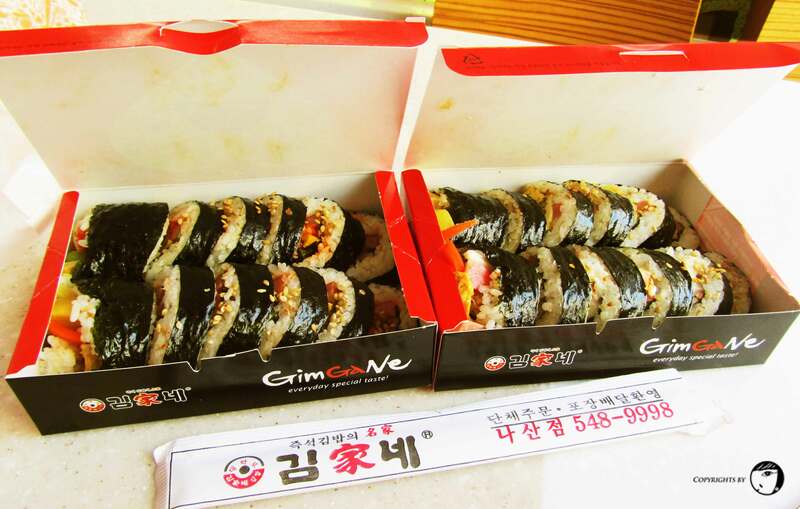 I may sounded not creative enough, but during my trip to Korea, I ate kimbab almost every morning. The reason is simply because it’s everywhere and easy to take-away. My korean friend brought this kimbab from Kim-Ga-Ne (김家네) for our breakfast. By the time, tried their kimbab, I know I will go back to this store again. 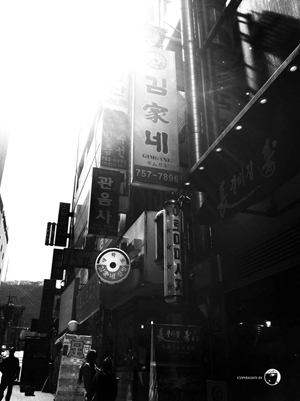 They have a few outlet, but the one that I manage to find out is Myeongdong, Chungmuro and Gangnam-gu Office. Of course they do not only serve kimbab. 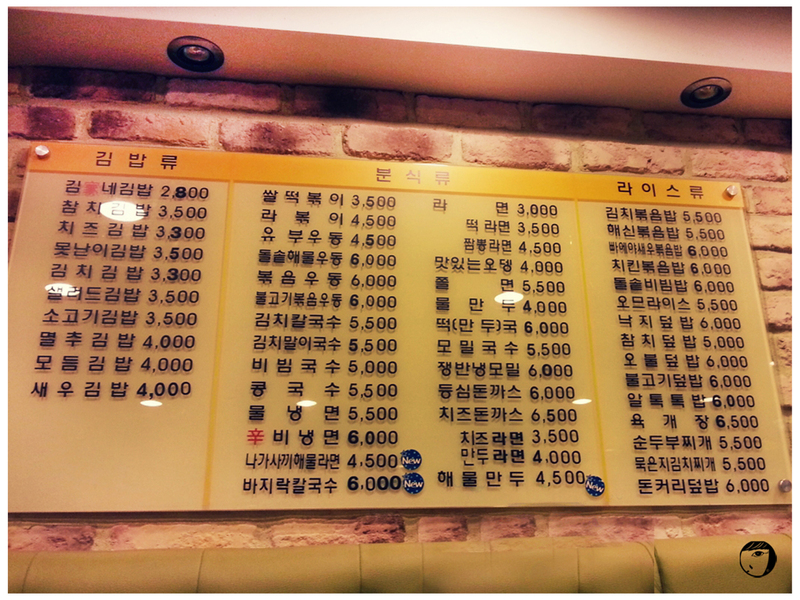 They have Ramyeon (라면), Naengmyeon (냉면), Ddeokbokki (떡볶이), Mandu/dumpling (만두), etc. 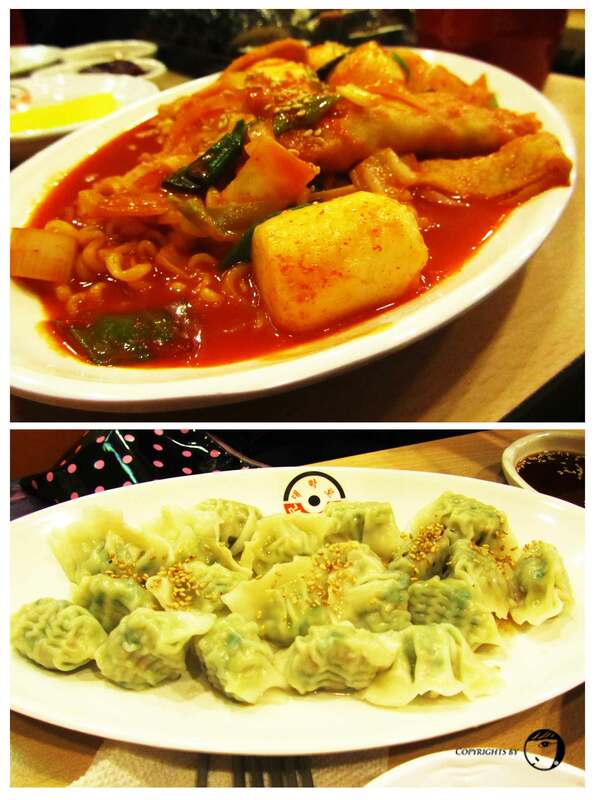 I have not tried their Ramyeon (라면) and Naengmyeon (냉면) yet, but their Ddeokbokki (떡볶이) and dumpling (만두) taste good too. If I were to visit Seoul again (I’m sure I will :p), I will surely visit this store again!